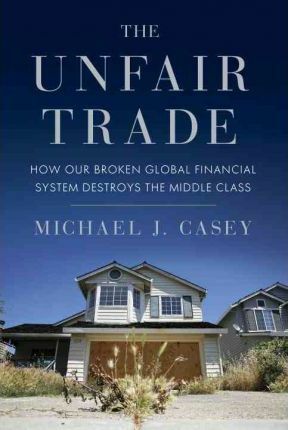 A wake-up call for middle class Americans who feel trapped in a post-crisis economic slump, "The Unfair Trade "is a riveting expose of the vast global financial system whose flaws are the source of our economic malaise. Our livelihoods are now, more than ever, beholden to the workings of its imbalances and inequities. The trillions of dollars that make up the flow of international finance--money that is often steered away from the people who deserve it the most--have not just undermined the lives of working and middle class Americans. It is a world-wide phenomenon that is changing the culture of Argentina; destroying the factory system in Northern Mexico, enabling drug cartels to recruit thousands of young men into their gangs; that has taken down the economies of Iceland, Ireland, Spain, Greece, and possibly Italy; and is driving American companies such as a 60-year-old family owned manufacturer of printed circuit boards to shutter all but one of its factories. Veteran journalist Michael Casey has traveled the world--from China to Iceland, Spain to Argentina, Indonesia to Australia--recounting extraordinary stories about ordinary people from one continent to another whose lives are inextricably linked. By tracing the flow of money and goods across the world, he illustrates how an American homeowner's life is shaped by the same economic and social policies that determine those of a low wage migrant worker on an assembly line in China. This combination of financial acumen, narrative-driven reporting, and compelling story-telling gives "The Unfair Trade" a unique human angle. Casey shows that our economic problems are largely caused by political agendas that prevent the free market from encouraging fair competition and impeding the allocation of resources. Until governments work together to make this global system more efficient--until China removes incentives for its citizens to save excessively, for example, or the U.S. ends the de facto subsidies enjoyed by politically powerful banks--the global playing field will remain lopsided, job creation will lag, and our economies will be vulnerable to new crises.